One of the crux differences between the left and the right is how our taxes are spent. 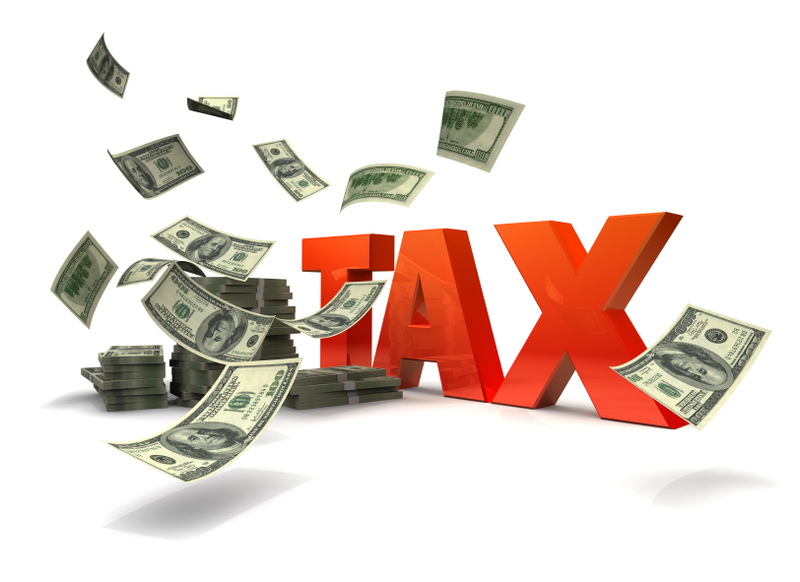 The left believes taxes should not only be used for the needs of government – defense, statecraft, infrastructure and so on but also for social programs as well. The right believes that taxes should be as small as possible and pay for the bare minimum to keep the United States strong and prosperous. Social programs should be left to charities. Often when I get into discussions with my friends on the right about things like Obamacare, food stamps and welfare, eventually they will inevitably say something along the lines of “not with my tax dollars.” All right, then. That leaves the question; what should we spend our tax dollars on? Of course, there are those who say we should not pay taxes at all but that simply isn’t realistic. It takes money to pay for necessities, such as embassies and ambassadors, for the military and their equipment, and simply for making sure things run properly, or at least relatively properly. So let’s assume for the moment that we all want a military protecting us, diplomats negotiating trade agreements for us, roads to drive on from place to place and air and rail traffic transporting people and goods across the country. For my part, I’d like to see my tax dollars spent on free healthcare for all. I’d like a European-style health care system that treats everyone regardless of their economic status. I’d love to cut out the insurance middlemen who serve no function at all except to make money for themselves. I’d like to see a healthier population, one who visit doctors instead of Emergency Rooms for basic care. I don’t want to see people dying because they couldn’t afford treatment. There is something so basically, disturbingly wrong with that last that it can’t even be expressed. I’d like to see my tax dollars spent on eradicating hunger, particularly among children. No child should have to go to bed hungry. No parent should have to hear their children cry themselves to sleep because they haven’t eaten anything all day. No retiree should have to face a choice between paying for their medication and their food. This is a land of plenty; why shouldn’t everyone benefit from it? I’d like to see my tax dollars spent on educating the young. Our future depends on having our next generations prepared to compete globally. Our children should be learning to think innovatively, to be inspired to learn particularly in science and mathematics. Our children should aspire to create things that will make the world a better place. We need to improve our schools and their facilities. Our teachers shouldn’t have to be paying for school supplies out of their own pockets. They should be compensated for the additional time they put in. They should also be held accountable for their performances as our students should be held accountable for theirs. We need to market education as a means out of poverty, a means to elevate not just individuals but entire communities. We need to involve parents directly in the education process but not just parents; the entire community. Businesses should be made to understand that they’ll only benefit from having a superior education system in their communities as it will turn out superior employees for them further on down the line. I’d like to see my tax dollars spent on space exploration. As Robert A. Heinlein once said, the Earth is far too fragile a basket to put all our eggs into, especially when you consider what we’re doing to despoil it. We should be exploring the local solar system and sending probes into the furthest reaches of space as we’re doing but we should be doing more of it. The technologies that have developed from the space program have fueled our economy for the past half a century; imagine what we come up with in the next fifty years. I’d like to see my tax dollars spent on rebuilding the infrastructure. I want to see good-paying jobs created to repair bridges and highways as well as constructing new ones. I want to see AMTRAK converted to a high-speed rail system that links the entire continent. And while we’re talking about jobs, I want to put some of my tax dollars in re-training the work force so that they are more computer savvy and able to do the jobs that are in demand. Those who have the abilities and the desire to change their lives should be given those opportunities, even the education to go into much-needed fields like engineering and medicine. I’d also like to see my tax dollars spent on helping students get college loans at reasonable rates that won’t put them into enormous debt before they’ve graduated that will take them decades to repay. My tax dollars should go to a more sane military spending program. We are spending money on tanks and battleships we don’t need. I’d rather see that tax money go to the Veterans Administration that takes care of our soldiers, sailors and airmen after they’ve defended this country. I want our veterans to have the best medical facilities administrating the best care possible; I want them to have college programs to help them re-start their lives and give them a chance to prosper after their time in the military has ended. I want my tax dollars to go to the actual people putting their lives on the line for our country, not to the makers of helicopters and tanks who have oversold their products to our military and now want to keep their factories running even though their products aren’t needed anymore. The dynamics of the marketplace should apply to them too. In short, I don’t mind paying for things that benefit people that actually need them. I have an issue with paying taxes that support people who are already rich by making them richer, by giving corporations making record profits tax incentives and loopholes to the point where they’re getting refunds while the deficit continues to be an issue. I want my tax dollars to mean something besides a dollar sign. How about you? How do you want to spend your tax dollars? That’s my boy! from your blog to the hearts and souls of American people everywhere. mind are set in concrete lately hopefully hearts and souls are not.